Ike Behar’s SlimFit navy ‘Blake’ tuxedo is the ideal entry in the fast-growing blue trend. 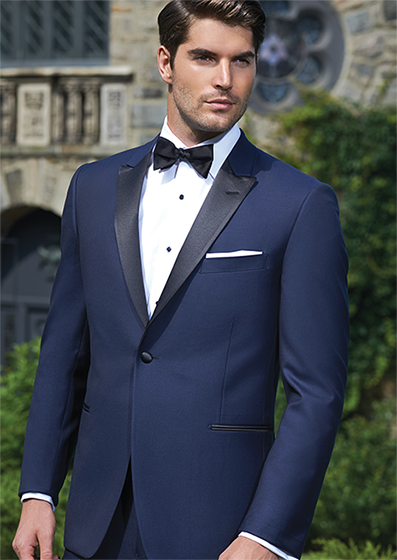 Black satin peak lapel and accents provide the perfect complements to the rich navy fabric. Featuring the same ultra-comfortable super 120’s wool as its black counterparts, as well as the same vertical cuts and lines, the Blake is simply the finest fitting navy tuxedo on the market today.